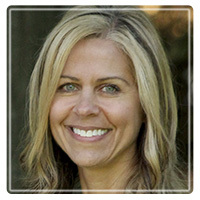 Wilsonville Therapist: Carolyn Hoffmann - Therapist 97070. Send A Message To Dr. Hoffmann. Hello, and thank you for reviewing my bio. I am a licensed clinical psychologist with a private practice in Wilsonville, Oregon. I maintain a general practice and see adults, adolescents, and children presenting with a variety of emotional and relational issues. I have provided mental health services to individuals of all ages for over 29 years in a variety of settings including private practice, hospitals, community mental health centers, schools, and residential treatment programs. I earned my doctoral degree in Clinical Psychology from Baylor University in Texas and my Masters Degree in General/Experimental Psychology from Villanova University in Pennsylvania. My training and years of experience in the field has allowed me to develop expertise in adult and adolescent psychotherapy, child play therapy, family therapy, and psychological assessment. Chronic stress, painful life changes, loss, trauma, illness, or emotional injury within relationships can cause people to develop coping difficulties and emotional and physical symptoms that rob them of their quality of life. Although time alone can sometimes reduce the severity of these symptoms, meaningful resolution of the problems and real psychological growth most often takes place within the context of a supportive and enriching relationship. As a psychologist, my philosophy incorporates the idea that it is within a nurturing relationship that individuals heal and grow. The quality of the therapist-client relationship is the major vehicle for change. My approach to counseling patients is integrative. I incorporate contemporary psychotherapy models such as family systems, attachment theory, psychodynamic/interpersonal, and cognitive models with a foundation in Christian faith and worldview. Some of my areas of specialization include treatment of mood disorders, relational problems, women's psychotherapy, adolescent therapy, play therapy, Christian counseling, and psychological support for people facing major illness. I am interested in helping my clients resolve emotional and interpersonal conflicts, increase their quality of life, build on current areas of strength, develop new areas of competency, and grow in their capacity for contentment, joy, and healthy relationships. My style is collaborative, compassionate, sensitive, warm, and insight-oriented.